Fits: 2002-2007 Buick Rendezvous Electric Power Window Master Control Switch Front Left Driver Side. Feature: Direct Fit, Easy Installation, High Quality. New in the box. Direct from manufacturer. Identical in appearance and operation to your OEM (original equipment manufacturer) switch. 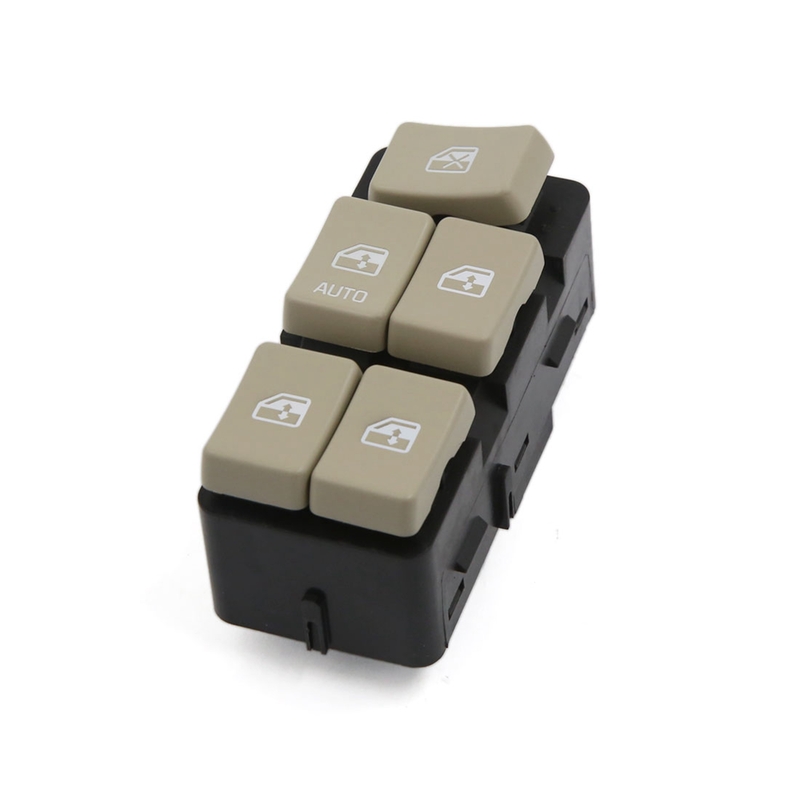 This switch is the complete unit you need including buttons, circuit board, Push ins, etc. Note:Please make sure that the OE number you need with our consistent before you order it. If you have any question about our item, welcome email to us. INSTALLATION: If you have never removed or installed this switch please don't pay to have it done. It is an easy 5 minute job. Carefully pry up the plastic switch cover or bezel, the switch is attached to it with screws and your door wiring is Pushed into the switch with a tabbed gang wire clip. Pull out the clip without tugging on the wiring. You may need to depress a tab with a small screwdriver while doing this. Push in new switch and test. Swap the cover onto the new switch and drop back in the door. Done!